Who's on the good list, who's on the naughty list? TV Chef Christmas Specials? Nothing for you lot! So, for the last few weeks, I’ve been watching the Good Food Christmas channel, for some inspiration for what to cook at Christmas - and to be honest with you, i don’t think i’m any further forward than i was before i started this endeavour. The problem is, there is that whilst there is only one real way in which to cook the old Turkey Lurkey but there is a multitude of ways in which to prepare it. Brine it, don’t brine it, cover with foil or don’t, fill it with stuffing or don’t, flavoured butter under the skin and a couple of clementines underneath to steam it, the list is endless. And here’s the kicker - i don’t really like turkey. To me, it’s just a gym bunny chicken, with aspirations above it’s station. Then there’s the vegetables - sprouts (uurrgghh) on their own or with bacon and chestnuts? Parsnips on their own or glazed in maple syrup? Carrots - roasted or boiled? Unpeeled or batons? And by the time you’ve spent two days preparing this meal (or if you are like Delia, a full 48 hours with only a power-nap at around 2 am and then 15 minutes “precisely” to open your Christmas presents (Top tip - the only way this can happen is if you’ve been a really naughty person and get next to nothing)), the last thing you really want to be doing is eating the damn thing. So Santa, just bring me a large stottie filled with turkey, stuffing (has to be my Mam’s sage an onion stuffing, non of your M&S stuff), gravy and pigs in blankets. That, a large glass of fizz (or several) and a i’m a happy man. Which i hope you all will be, whatever you end up doing and eating on Christmas Day. On behalf of Dobson and Surrey Ltd, have a very Merry Christmas and a Happy New Year - we’ll see you on the other side! 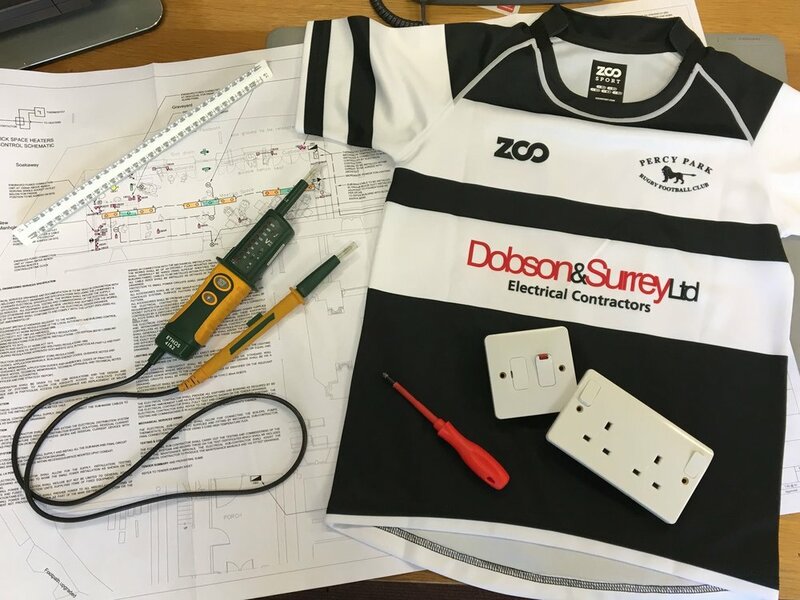 We are pleased to announce that Dobson and Surrey Ltd are the new shirt sponsors for the Under 8’s side at Percy Park Rugby Club. Percy Park were founded in 1872 by J Stanley Todd, 1st XV Captain and originally played on a field behind his home in Percy Park, Tynemouth - hence the name. In 1896, they moved to Preston Avenue in North Shields and they have been a positive presence in the local community ever since. The Percy Park Youth Trust was formed in 1986 and the Club have been and continue to be at the forefront of development and furtherance of junior rugby - from the age of 6 and upwards. Whilst our history is not so extensive, Dobson and Surrey Ltd have also been a constant presence in the local community for the last several decades and we are proud to able to support the work the club does for the many children living and playing in the area. We would like to take this opportunity to wish the Under 8’s team and club in general every success for the current season and those in the future. I was travelling to work last Monday and heard on the radio an advert for a company which promised to safeguard "your company's online reputation", I must confess that it got me thinking. Feedback - of any nature - if vital for a company. We need to know what we are doing right and also what we are doing wrong in order that we can stop doing it. However, there are so many avenues for people to leave feedback, sometimes it's difficult to keep up with it all - social media, company websites, online directories, etc, etc. The chances of picking up all comments is reasonably remote. So what happens when negative feedback is left and how do we deal with it? What happens when that feedback is from someone who can't be placated? What happens if that feedback isn't wholly accurate? What if it's libelous? Worst case scenario here is that the company you work for, which you strive to ensure operates in a manner which puts customer service right at the top of the pile when it comes to commitments - looks like a disaster. In an era of online reviews, the days of one-to-one resolution are gone - but also missing is the other side of the story sometimes. Benjamin Franklin once wrote* "you can't please all of the people all of the time". He also wrote "half a truth is often a great lie". What if the client was totally unreasonable? What if they were rude to your staff? What if they didn't pay for months? Where is the right of reply for your company? Does it look petty to comment on feedback left? It's often difficult to know which way to turn in situations like this - but we believe we've found a solution to the issue. It's called the Honest and Fairness test - the "look in the mirror" test if you will. If we can't really dispute what has been written, then we have to accept it, move on and make sure that we don't make that mistake again. If we can dispute what's been written then we'll reply to the criticism offering our point of view and hopefully the problem can be resolved to everyone's satisfaction. Whilst it's great that these companies who promise to look after your "social media reputation" have managed to find a niche in the market, surely it should be YOU who performs this task for your company. After all, who has the most to lose? I wish it could be Christmas every day!!! Here we are then - less than two weeks to go till Christmas and here at Dobson and Surrey, it's a time for some quiet contemplation and reflection. Mainly i'm reflecting on how i'm going to write something different to last years blog, which by my own admission was rather good. So, in the words of Sia's new and vaguely sinisterly titled Christmas song "Santa's Coming For Us" - "Ayetsortgeddin shortanohotchocoled, filsthi earringchristmas tearducts to, pickerminny onchristmastweets solowonly, the joy this timeout brings to you". Frankly, at any other time of year, this would be seen as unintelligible gibberish, but not now. Not at Christmas. For now is the time of peace and harmony, of calm and of thinking of others. Or at least that's what we hope for. The reality differs slightly - effing and jeffing at all and sundry as we fight our way to the shops through the roadworks, fight our way into car parks in the vague and unrealistic hope that we might just get parked this side of Whit Week, fight our way into shops, battling those insufferable people who whilst walking three abreast in front of you in shopping centres, just suddenly STOP FOR NO APPARENT REASON, fight to get the presents we've been tasked to get (if they have any left in stock) and then the card payment machine goes belly up. As we walk back to our car, we notice that the one item we've managed to secure after 8 hours of shopping has 20% off in nearly every shop we see on our way back to the car (or they would if they had any in stock...) and as soon as we've got to the car park and paid the obscene amount of parking charges and been followed back to our car by seven other drivers who are equally as desperate to get parked to serve their Christmas community service, we then fight our way home back through said roadworks to our loved ones. Again, at any other time of year, the above may come across as a semi-autobiographical and bitter rant by someone who's emotionally troubled. Not now though. It's Christmas. (Let's not talk about Christmas Works "Do's" and Black Eye Friday, the fact that we've been hearing Band Aid since September, that with an inch of snow, anywhere south of Gateshead shuts down, with the media proclaiming "SNOWBOMB!" or "BLACK ICE MONDAY!!!" as it'll only get me, sorry, them, going again). So at Dobson and Surrey, in the run up to Christmas, we'd like to suggest you do the following; instead of the rat race of shopping, take your family for a walk, go to a Christmas market, go to Church (if your proclivities lie in that direction) or even just sit at home, with your family and enjoy each other's company and good spirit. Spend the Christmas Holidays in your pyjamas watching the Christmas films with the kids (or by yourself, no shame in that) and revel in the fact that you get it - you understand what the true meaning of Christmas is. Friends and family, being together and sharing their love for each other. From all of us here at Dobson and Surrey, we wish you a very Merry Christmas and a very peaceful and prosperous New Year. Hello there and welcome to our monthly / quarterly / whenever i get the chance blog post on random and sometimes electrically biased topics! So then, some time ago, the government announced that by 2040, no new car would be available to buy with either petrol or diesel power (and that includes hybrid power). This follows similar commitments by France (2040) and Norway (2025). Also mulling over the proposals are the Netherlands (2025), India (2030) and some federal states in Germany (2030). It also followed an announcement from Volvo that from 2019 onwards, it would only be making hybrid or full electric vehicles. What sounds like a fantastic decision and one which surely cannot be argued against - right? We're nearing the end of fossil fuel powered vehicles and the move into fully rechargeable transport within the next 25 years or so - certainly within my own lifetime. Whilst current internal combustion powered vehicles (and hybrids don't forget!) are responsible for producing pollutants which have been found to be harmful to health, one of the main advantages of them is a complete and fully supported infrastructure of easily accessible fuelling stations all around the world. If i were so inclined, i could get in my current car and drive from the office to wherever and i'm pretty certain it wouldn't be an issue to ensure the car could be refuelled along the way. With respect to electric vehicles, this infrastructure is certainly in it's infancy and will require an awful lot of investment to reach the same level. Yesterday in the Budget, the Chancellor committed to spend some £400m (well, £200m with the balance to come from private investors) to create a Charging Investment Infrastructure Fund which will go "some" way to increasing availability of charging points in the network. It's true that the ICE infrastructure took decades to get to this level and also that most people (certainly those not living in city centres) can "refuel" simply by plugging in to their home electrical supplies but the fact remains that by announcing a cut off date, governments are committing themselves (and private companies) to ongoing large scale capital investment and expenditure to ensure demand can be met. I'm pretty sure that this will happen but not sure what the final cost will be. This brings us to the elephant in the room - where do all the wires go back to? For decades now, the UK's power generating capabilities have been decreasing as coal fired power stations have been decommissioned, whilst nuclear power stations (in the wake of the Chernobyl disaster) fell from political favour and successive governments "kicked the can" along the road for others to address the issue. In recent years, the emphasis has been on renewable energy (itself in it's infancy) in order to reduce our reliance on fossil fuels. All of these measures have meant that our spare capacity for electricity has been reduced considerably. However, at the start of the century, there were signs that this was finally being recognised and that measures would be put in place to address the issue - promptly. Ish. In 2008, the government announced the first plant would be online by 2020 and in the same year, EDF (who bought British Energy, the owners of the UK's existing nuclear power stations) for £12.5bn and planned to build four new reactors) said the cost per megawatt hour would be £45 by the end of 2017. Finally and most recently, costs were announced to rise by another £1.5bn and would now not be completed until 2027. This is for the first of four plants. Ten years from first announcement to concrete being poured and another ten years to complete. £10bn over budget (currently). Cost per megawatt hour doubled (in 5 years). Based on the current timescales, if the announcement is made for the other three plants simultaneously, we should see them in operation in roughly 2037 -although that is hugely unlikely as the financing capital for such a massive infrastructure project doesn't exist, nor does the political willpower at a time when Brexit is taking up so much of the collective time in Westminster. In 2016, a total of 2.69m cars were registered in the UK. Of that number, approximately 37000 were either full electric or hybrid vehicles - an increase from just 1000 five years previously. (This is also in a market which has seen overall car registrations increase steadily since 2012 from approximately 1.95m). As of March 2016, there were 36.7m vehicles licensed for road usage in the UK. The population has increased dramatically. Our life expectancy rate is increasing. This all means there are now more people wanting to own a car and more demand on our infrastructure. Into all of this, the government has announced that within just over 20 years you won't be able to buy a new fossil fuel powered car. £100bn+ on four nuclear power stations. Millions / Billions more investment required for a national grid of charging stations (there are currently 7125 charging points spread over 4603 locations within the UK compared to 8459 petrol stations with over approximately 50000 pumps in those locations). So the question must be asked - how on earth do politicians believe that this change over can be achieved in the time and how on earth are we meant to be paying for this? So then, back in the crazy old times of Christmas 2016 (Happy New Year one and all - apologies for the lateness but my excuse which includes work, illness, Jury service (and, sadly, home decoration) is a valid one) i was fortunate enough to receive from Santa an Amazon Echo Dot - aka Alexa in common parlance. I was incredibly excited to see exactly what i could do with such a device and now, after quite a few weeks (and a replacement) i've come to the conclusion that other than ranting and raving like a lunatic at her to answer me or to find out tomorrow's weather, i'm back in 1981 and facing the above piece of industrial design gold - the Sinclair ZX81. The subsequent disappointment in realising that i wasn't a programmer and that the device (whilst it had potential) wasn't all singing and dancing was crushing. It was only later on that the C64 arrived and i managed to do what i wanted with a computer - which at the age of 9 or so was to play games. In the last 25 or so years we've come on in leaps and bounds technology wise and yet it seems we're back to square one with technology waiting for the applications and integration with other equipment to catch up. The purpose of this walk down memory lane? Well, voice activation for everyday items in our home is in it's infancy at present but give it another 2, 5, 10 years and we'll be sitting like Tony Stark talking to Jarvis. The possibilities seem endless - and that's how our lives should be. Full of imagination and hope for the future. We currently as a country stand at a crossroads on so many levels with Brexit and other Neverendums being bandied around that sometimes it can be difficult not to take our eyes off our goals. Much like the best teams, we should be pulling together in the same direction and for the best outcome for all, not just for personal pride or gain. So then, another 12 months on and here we are. It's a few days before the Big Fella arrives and the shops have been playing Christmas Carols and Dean Martin (my own personal hero) songs since Guy Fawkes was caught lighting a match. But are we upset? Like heck we are - it's Christmas, the decorations and lights have been up for a while - in some parts, they've never been down but lets gloss over that - and despite the craziness of Christmas shopping and the amount on traffic on the roads, it signifies a time of fun with our families, a period to recharge our batteries and to make merry. (Incidentally, we hope you all put your outside lights up in a safe manner and weren't hanging off ladders trying to get the last fixings in your 4 foot high Rudolph's antlers whilst simultaneously telling your neighbours how you are "only doing this for the kids". We know who you are, where you live and the fact that you love the film "Elf" more than anything else). However, in the midst of fighting pensioners for the last loaf of bread as if the Apocalypse was imminent and the supermarket wasn't only closed for one day, or scrapping over a parking spot after queuing to get into Silverlink for 45 minutes because it seems everyone thinks the shops are giving everything away for free and you must have a Dolce Gusto with 15% off NOW, take this one thought with you. The real spirit of Christmas isn't about receiving, it's about giving. Now whether that's presents money, time or your affections, is largely irrelevant - it's about thinking of others and not ourselves. So if there is someone you know who is having a tough time, or is alone at this time of year, or could really just do with someone to natter to, give up a bit of your Christmas to make their Christmas better. Trust us, you'll feel better for it. And on that note, from everyone here at Dobson and Surrey, we'd like to wish you a Merry Christmas and a peaceful, prosperous and Happy New Year. Ok, ok - i know. It's been a while since the last blog update but we've got a reasonable excuse for it - honest. However, inspiration came in the form of a telephone call (cold, naturally) from a company willing to monitor the website and blog on our behalf. So that got me thinking about security these days and who actually has our personal and business information and how they've gotten it. There have been quite a few high profile security breaches from websites storing personal details this year and that's to be expected - hackers will always do this because, you know, they're hackers. (incidentally, visit http://www.informationisbeautiful.net/visualizations/worlds-biggest-data-breaches-hacks/ shows by year, the breaches or hacks or inadvertant data releases carried out - interesting stuff). A lot of private personal information is harvested by companies and sold on as bulk file packages to third parties without our knowledge. These are then responsible for spam e-mails, cold calls, junk mail - the irritants in our lives. Then there are the sneaky ones which we sign up to willingly but don't actually realise. These are the ones hidden nicely in amongst all the "terms and conditions" which we scroll past to get to the information we want. There is even an internet anti-virus company carrying this out (although i'd be remiss not to point out that the information they pass on is "anonymised" and "non-personal information" but at the end of the day, the company that provides your security for your information against hackers and the nefarious in general are selling users information on to unknown third parties. (Insert Alanis Morissette song title here). The point of all this? 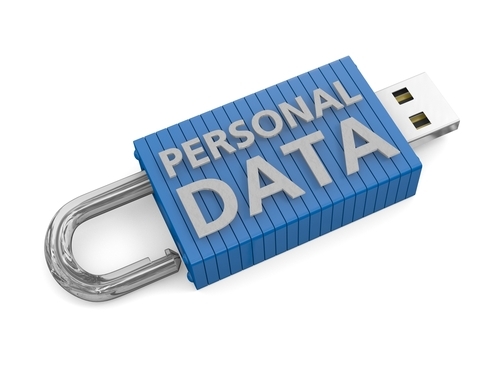 We should all be a lot more careful in who we give our personal information to. Think about why you are being asked for certain information. Check the terms and conditions - if not thoroughly, at least glance through them before clicking "next". If the information is optional, don't give it out. In the words of Sergeant Phil Esterhaus from Hill Street Blues - "Hey, lets be careful out there". With the dark nights coming in, please check all of your external lights at home and places of work and ensure they are functioning correctly. If not, you know who to call to fix the problem. It's not often that we blow our own trumpet here at Dobson and Surrey Ltd but on this occasion, we feel it's well earned! Back in January 1976, Fleetway Electrical Contractors began trading in an unmanned office of about 10 square feet next to the space where the clothes were ironed at Fleetwing Dry Cleaners in North Shields. George Dobson and Stan Surrey were the two founding partners and within a month, the name of the company had changed to Dobson and Surrey Ltd. Sadly, George is no longer with us but i'm pretty sure that wherever he is, he is looking on with pride at what he and Stan, started all those years ago and how far the company has progressed. Fred Fox was one of the first employees of the newly christened company. We are proud to say that he still works for us now. John Torday was one of our first customers and supported us tremendously in the early years. We are proud to say that we are still working for him all these years later. Phil Ogle started in the trade as a sales representative in the early 1980's and his first visit to a contractor was to our offices. We are proud to say he still comes in and sees us over 30 years later! There have been a couple of moves but we've always remained within North Shields. The point of the above? It goes to show that our company has and will always be committed to building long lasting relationships with our staff, customers, suppliers and with the local region - it's the cornerstone of who we are and what we do. We live and operate in a fast moving world which is very much removed from that of the 1970's. Technological innovations and engineering methods have changed the face of our industry - and Dobson and Surrey Ltd will continue to be at the forefront of presenting and implementing these developments to our customers. When we look back to those days in the Dry Cleaners, it's incredible to think of the progress we've made and the changes we've experienced. Roll on the next 40 years! So then...it doesn't seem like two minutes have passed since our last Christmas Blog Post and here we are 12 months later! It's been a busy year for all of us here at D & S and one which, more importantly, has been hugely interesting and fun. We've worked for a lot of customers, new and old, and we thank both those and our suppliers for their support throughout the year. Officially, the offices are closed from Friday 18th December 2015 until we return on Monday 4th January 2016 but we'll be popping in to answer telephone messages and to open the post throughout the holiday period. Also, if you wish to contact us via e-mail, we'll be answering those as and when we receive them. Other than that, we'd just like to take this opportunity to wish everyone a very Merry Christmas and a Happy New Year. Enjoy the time you get off with friends and family, recharge your batteries and get ready for 2016! The Future - here, now? It's been a while since our last blog post and an awful lot has happened since then (which will be noted in future posts) but today we turn our attention to the future, which seems to be closer than you'd imagine. There's an argument to be had about the Environmental impacts of replacing company cars on a frequent basis - changing often to ensure you are driving the most efficient (fuel and tax wise!) vehicles vs maintaining older vehicles and therefore not using up resources by continuously manufacturing newer models - but sometimes, the changes make so much sense that the argument is blown out of the water. We've recently replaced part of our fleet with a car we firmly believe to not only be a common sense option but potentially a game changer with far reaching implications for company vehicles as a whole. Petrol Electric Hybrids such as the one shown above (which incidentally is the one we have) offer a range of benefits to both companies and employees which when taken as a whole, make you wonder why anyone wouldn't run one. Need examples? Benefit in Kind and Fuel Benefits are a fraction of those of a comparable diesel car, Fuel costs are slashed, Class 1A National Insurance Contributions are more than half a comparable car - the list goes on. All this in a 2 tonne 4 wheel drive car. Our last fill up was in mid-August and cost £45. By charging regularly using the free charge points located in the region (one-off £20 subscription cost notwithstanding), we've managed to cover 1500 on miles on one tank of fuel. So, good for the environment, good for the employee pocket and good for the company coffers. If you are in the process of replacing your car(s), make sure you arrange a test drive. It might just be the wisest decision you make in a long time. Seriously though, the impact of energy efficient equipment and practices in the world of electrical contracting is staggering. Take the recent move away from fluorescent lighting and into LED's. Year on year, the manufacturers are reporting increased market share as more and more customers become aware of the benefits of LED lighting. As with all new technologies, the cost to change at present is quite high but this is coming down and it won't be long before prices reach parity with "traditional" lighting. In recent times, we have carried out works for local authorities and companies whereupon LED lights have replaced traditional fluorescent style light fittings and presence detectors have been fitted to ensure even though they are incredibly efficient when on, the lights are only on when required. However, this is just the tip of the iceberg when it comes to energy efficiency - within the next few years, home automation systems will become commonplace as people realise the power that a smartphone can have in controlling their home systems from remote locations. Left the heating on and it's a hot day? Open the app on your phone and reduce the central heating thermostat. Going away for a weekend? Program lights in your house to come on when your are away for security purposes. The possibilities for this type of "instant access remote control" are seemingly endless and will all help us reduce our usage of resources and our costs. So why the blog post? Surely this topic has been covered elsewhere and in greater detail? Well, here's the thing. We hear about customers employing "energy management consultants" who will visit their premises, assess their usage and make recommendations on how they can improve their efficiency whilst reducing costs. They will also notify the customer of "payback" times - how long it will take to recoup your expenditure on the new equipment via savings in energy - and that's a fantastic and worthwhile piece of information to have at hand. Meanwhile the customer receives a large invoice from said "energy management consultants" for services rendered - and it's this that the blog post is about. A wise man (ok, it's the same wholesaler representative from previous posts but bear with me) once said employing management consultants is like giving someone your watch and then asking them the time. Customers do not need to employ consultants such as this and pay their fees. Any contractor in our trade worth their salt will have access to people who will carry out these surveys for free. Recommendations will be made not only on the product the consultants are promoting but all of those available in the market. Customers will have more choice as well as potentially bigger savings due to reduced initial expenditure. As with a lot of things in life, when it comes to employing consultants it's merely an appeal to authority. "We've employed XYZ to assess our needs and they've recommended 123. They are the experts on this. Here's their bill"
Customers CAN do this themselves and it WILL save them money. Why not give your local electrical contractors a call and see if THEY can help you when it comes to saving energy and money. You never know, it might just be the most cost-efficient decision you make all year. 1 "My lights / power / heating / other has just gone off - can you get someone here this morning / afternoon?" 2 "I've gotten your quote and i know a bloke from the pub / golf club / other who can do it much cheaper. Can you reduce your price?" 3 "Who is your current gas / electric / telephone supplier? We can save you 20 / 25 / 30% on your current bills..."
Surprisingly, all three questions are related, in a fashion. It all comes down to a compromise between quality and service balanced against cost. A wise man (OK, it was someone from an electrical wholesalers...) once told me "if i'm cheapest on everything, I've done something wrong". If you are cheapest all of the time, when are you making the money needed to run the company, to pay your employees (and yes, your utility bills)? In the electrical contracting business, we continuously see smaller companies or "one man bands" coming along and offering incredibly low quotes to customers. On paper, that's great for the customer - it's usually after the works are done and a problem occurs that the compromise is discovered - either in the quality of the works or the responsiveness of the company. We've seen many occasions where we've priced a job, it's been given to someone cheaper and when we get a chance to look at the works, they aren't the same job. The materials aren't the same quality, the installation is not engineered to the same levels or it's obviously been installed in the quickest way possible. The only person losing out here is the customer who is not getting what they thought they would be getting. Or paid for. At Dobson and Surrey, we have always prided ourselves on the "do it once, do it right" ethos - but if you DO have a problem, we will rectify it as quickly as we can and ensure it won't happen again. We won't use poor quality materials to keep the cost down - it's not worth the damage it will do to our reputation nor the problems it may cause the client. We are living in times where price is the "be-all and end-all" - but it shouldn't be to the detriment of quality or service. We position ourselves on the "Quality and Service" side of that equation - and we respect that our clients do too. If you haven't already, it'll soon be the time to experience the joy / madness of putting up your Christmas decorations. Whilst this is undoubtedly a time for joy and happiness, we are also bombarded with scare stories of the "hidden dangers" of Christmas in the media. As with most things in life, an element of common sense removes such dangers - but we are all guilty of the odd "brain freeze" moment. 1. Inspect and test all of your lights before putting them up! Check the wiring for damage, the plug top to ensure the connections are tight and make sure there are no broken lamps. Try them before you put them up in the final positions - the last thing you want to do is have to remove all the tree decorations and re-do the lights. With most lights these days being of the LED variety, this brings significant reductions in electrical efficiency but also in reducing the risks of house fires caused by lights. Certainly consider replacing older style lights with these newer ones. 2. Think about where you are going to plug the lights in! If you have sufficient socket outlets to satisfy every need, you've done well (and are also in a massive minority). Most of us will need to use extension leads to provide power to our lights but please consider what is being connected. If you are using socket outlets behind your TV, think about what else needs to be connected. Count up your equipment - it'll surprise you how many items you have plugged in at once. If you are looking at an extension lead plugged into an extension lead, then it might be best to reconsider where you are plugging everything into! Also, don't forget to carry out the same inspection on the extension leads for damage. 4. Be careful when putting lights up! Again, common sense. It's usually cold / wet / snowing / icy when we put outside Christmas lights up. If it is, think about putting it off until it's not a hazard. Too many times have we seen people putting lights up in conditions which whilst they aren't electrically unsafe, certainly make the task of putting them up dangerous. Finally, when you've finished it all and your home looks beautiful, you can relax. Unless, of course, they go off...and then you have the joy of taking them all down again in a few weeks time! From everyone at Dobson and Surrey, have a joyous (and safe) Christmas time. Strange as it may seem, 38 years since we started this business, this is our first attempt at "marketing" or advertising ourselves! A lot has happened in the intervening years - technology has moved on, techniques have changed and customers requirements have evolved beyond all recognition. However, we're a bit more resilient and this is why we believe now is the time to remind everyone - we're not a "here-today-gone-tomorrow" company. We've spent years investing in relationships with clients, suppliers and the trade and it's nice to know that you can rely on some things in life. So whilst we'll never stop moving forward with the latest innovations in the business or continuing our desire to make sure we are at the forefront of training and compliance with the latest standards and laws, we're still the same company as we've always been. Founded on the ideals of engineering excellence, undiminished quality of work and value efficiency, we remain committed to not only our existing clients but also those we will work with in the future. So, new website, new social media presence, new logo but there is nearly 40 years of research and practice behind them!